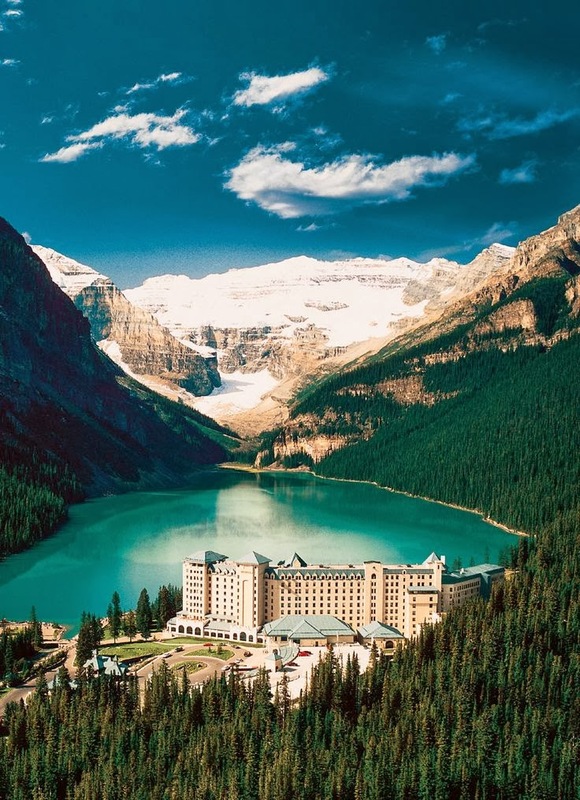 Lake Louise is named after the Princess Louise Caroline Alberta (1848–1939), the fourth daughter of Queen Victoria and the wife of the Marquess of Lorne, who was the Governor General of Canada from 1878 to 1883. The emerald colour of the water comes from rock flour carried into the lake by melt-water from the glaciers that overlook the lake. The lake has a surface of 0.8 km2 (0.31 sq mi) and is drained through the 3 km long Louise Creek into the Bow River.